You are invited to participate in supporting Sunburst’s mission in a world that urgently needs God to be realized in all hearts, minds and souls. General Donation – thank you for participating in Sunburst! 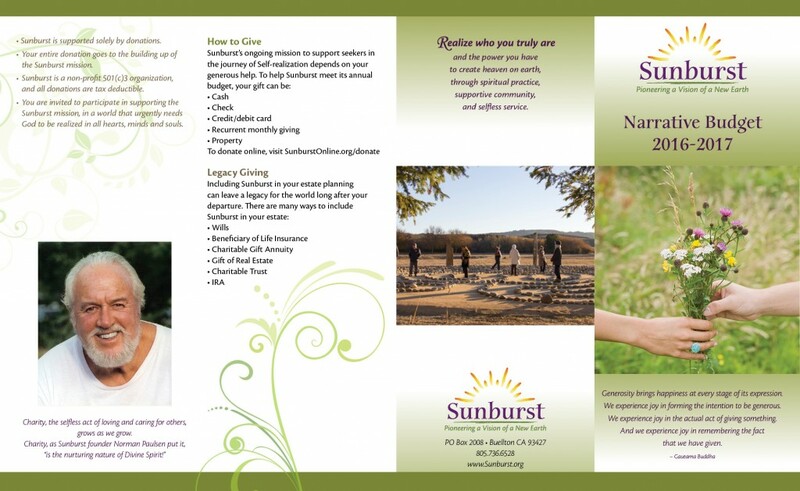 For further details and/or additional options, including recurring donations, estate giving and more, please email ContactUs@Sunburst.org or call the office 805.736.6528.